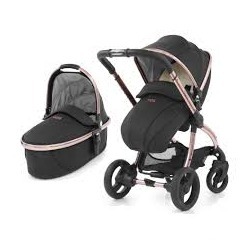 The egg® Quail Stroller is the stylish, lightweight and compact edition of the egg® stroller. It features a one-hand fold seat, lavish fabrics, a sophisticated leatherette handlebar and a magnetic seat panel in your choice of design. The egg stroller has been designed with the style conscious parent in mind. Soft touch fabrics create smooth curves and continuous lines to give the egg a luxurious, stylish look. 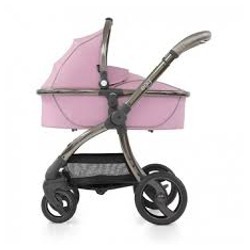 Stand out from the crowd with this gorgeous colour - perfect for a baby girl! 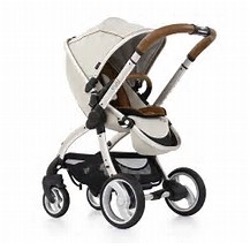 The egg Serpent Special Edition fuses modern design, smooth curves and luxurious features with futuristic engineering and technological innovation, creating a luxurious baby transport system that delivers style, comfort and versatility. It features a satin-feel frame, hand stitched fabric, and a sophisticated leather handlebar and bumper bar. The egg has soft touch fabrics to create smooth curves and continuous lines, giving it a luxurious and stylish look. 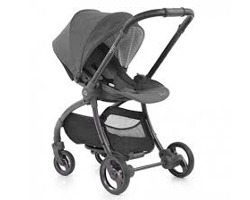 Outstanding engineering creates the perfect ride for baby and ultimate ease of use for parents. The egg has been fitted with Tru-Ride Technology tyres which have been engineered for comfort, superior handling and added durability. 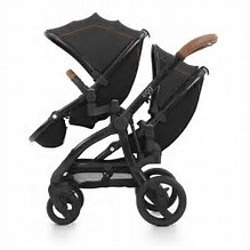 The one-hand fold chassis is compact and freestanding when folded and the three position recline, parent and forward facing seat unit is spacious and comfortable. 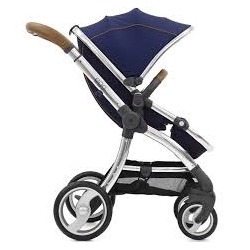 The luxury egg® Stroller from BabyStyle is a premium pushchair system that boasts a unique egg-shaped design, luxurious detailing and innovative features. 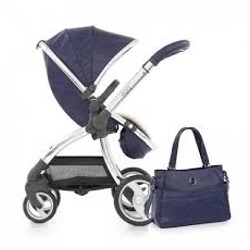 These carefully designed elements combine to produce a high quality baby transport system that's guaranteed to consistently deliver comfort, style and ease of use over the years. With the addition of a tandem adaptor kit, the egg stroller can be converted into a tandem stroller. To convert into a tandem you need to purchase a Tandem Lower Seat Unit and a pair of Tandem Adaptors. It can also be purchased from the outset for twin. The tandem lower seat unit includes rain cover (the tandem seat does not have an Apron or Bumper bar).